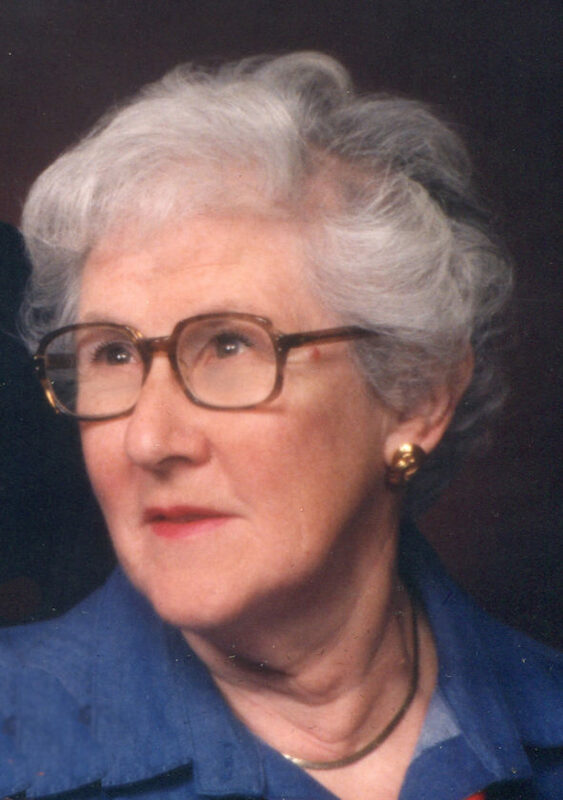 Margaret G. “Peggy” Moynihan, 93, formerly of Baker Street. Ext. Jamestown, N.Y., passed away at 6:45 p.m. Monday, June 25, 2018, in the Lutheran Home and Rehabilitation Center. A lifelong area resident, she was born Sept. 23, 1924, in Jamestown, N.Y., the daughter of the late Jay W. and Agnes G. O’Brien Gould. She was 1939 graduate of the former Ss. Peter & Paul Catholic School and a 1942 graduate of Jamestown High School. She earned her nursing degree from the Georgetown University School of Nursing in 1945 and took graduate courses in Polio Nursing from the Harvard Medical School and Boston Children’s Hospital. She also worked as an emergency room nurse at Georgetown University Hospital in Washington, D.C.
She began her nursing career in 1948 as a respirator care and polio nurse at the Los Angeles County Hospital in California and in 1949 came back to Jamestown and set up and managed an entire polio unit and taught classes to other nurses in polio care. She also did private duty nursing and was a polio nurse at both WCA Hospital and Jamestown General Hospital. Before her retirement, she was a registered nurse and night supervisor at the former Jamestown General Hospital from 1951-83. Her post retirement years were spent working for Accredited Care in Jamestown until 1986. She was a communicant of Holy Apostles Parish at Ss. Peter & Paul Catholic Church, where she was a lifetime member of the Altar and Rosary Society. She was also a member of the Lakewood Rod & Gun Club and the Vikings Lodge. She will be remembered as a loving and caring wife, mother, grandmother and great grandmother who loved to spend time painting, knitting, quilting and sewing. She and her late husband, Bill loved to travel and spent time in Ireland, Hawaii, the Caribbean and enjoyed vacations at Stone Harbor, N.J., with family. Surviving are her three children: Colleen M. Moynihan of Milford, N.H., Gary M. (Donna) Moynihan of Lakewood, N.Y., and Stephen P. (Mary) Moynihan of Wexford, Pa.; six grandchildren: Kirby (Kevin) Cullinan, Evan Moynihan, Jenna Moynihan, Meghan (Kyle) Dougherty, Molly Moynihan and Patrick Moynihan: and two great- grandchildren: Sawyer Marie Cullinan and Ronin Patrick Dougherty. Besides her parents, she was preceded in death by her husband, William M. Moynihan Jr., whom she married June 27, 1953, and who died Aug. 26, 2010; three brothers: Richard, Eugene and Joseph Gould; and a sister, A. Marie Gould Seaton. A Mass of Christian Burial will be celebrated at 10 a.m., Friday in Holy Apostles Parish at Ss. Peter & Paul Catholic Church. The Rev. Dennis W. Mende, pastor, will be celebrant. Burial will be in the Holy Cross Cemetery. Friends will be received from 5-7 pm Thursday in the Lind Funeral Home where a Christian Wake Service will be led at 4:45 p.m., Thursday in the funeral home. Memorials may be made to Holy Apostles Parish, 508 Cherry St., Jamestown, NY 14701 or to a charity of one’s choice. You may leave words of condolence to Peggy’s family at www.lindfuneral home.com.